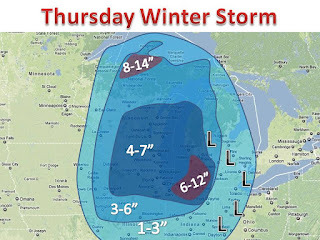 4) We are watching NE IL and SE Wisconsin, totals have a chance of reaching 9" but these areas would be isolated so we left the map as is.But if you live here expect 5-8"
5) Still 24 more hours of snow to come for most people so keep it here for updates! Warm, Warm Week for Midwest...then a storm?? 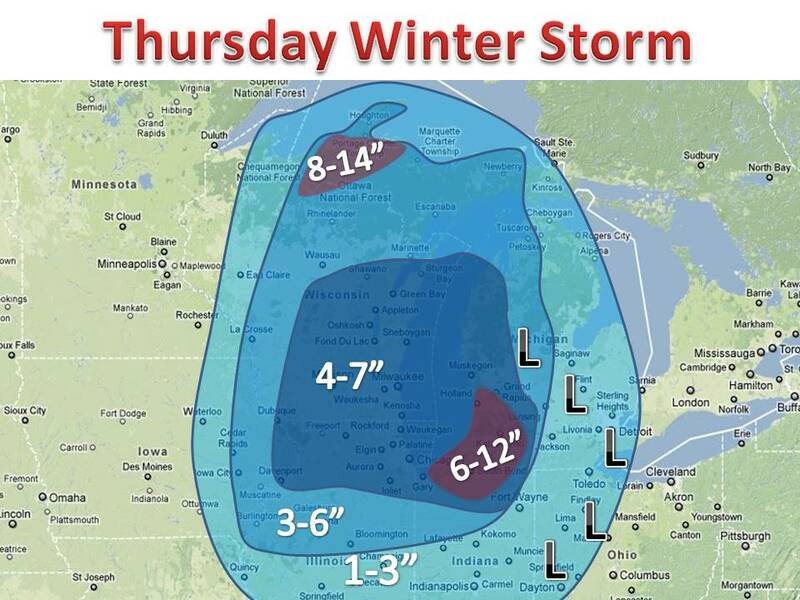 First Winter Storm in the Great Lakes this Year!